Experts (PoE) Yasmin Sooka with the Tamil NGOs, LTTE terrorists and similar institutions. 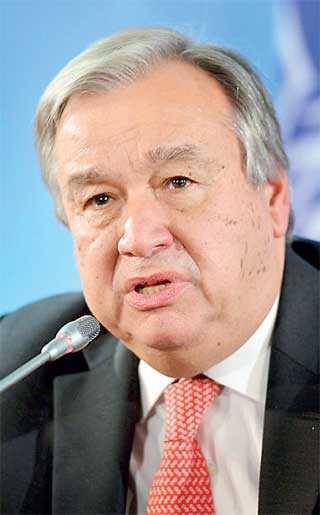 In a letter titled ‘Conflict of Interest and Biased Acts by Yasmin Sooka towards Sri Lanka,’ which was sent to Guterres and also the UN High Commissioner for Human Rights Michelle Bachelet, the GSLF has requested to disregard facts and findings of the report presented and compiled by PoE which included of Sooka. during the pre and post POE services. The former Secretary General of United Nation Mr. Ban Ki-moon appointed a Panel of Experts (PoE) in 2011 to advise him on the issue of accountability with regard to alleged violations of international human rights and humanitarian law during the final stages of the war against LTTE Tamil terrorists. In general, the Terms of Reference of the PoE is to investigate any acts that may have contravened with the international law and standards of engagement of military in such situation by both Sri Lankan security forces and the LTTE Tamil terrorists. The appointed Panel of Experts consisted of Marzuki Darusman (Indonesia), Chair of the Panel; Steven Ratner (from United States); and Yasmin Sooka (from South Africa). The Panel formally commenced its work on 16 September 2010. The report produced by the Panel was supposed to be submitted to the Secretary-General within four months of the commencement of its work. We are not concerned on the content, findings and recommendations included by the PoE in their final report at this stage, as it is a completely different discussion. However, we are very concerned with the selection and appointment of Yasmin Sooka to this panel to provide expert advice to the Secretary General of the world body. The purpose of the advice to the General Secretary was to obtain unbiased and independent expert opinions on the matters that happened in the later part of the war against Tamil terrorists in Sri Lanka, without any exaggeration and overstatements. This aspect had been clearly stated in the Terms of Reference of the appointment of the PoE. From the inception of its work by the POE, the Secretary-General and United Nations senior officials had made clear to the members of the panel that, although it reported to, and would ultimately provide advice to, the Secretary-General, it had the authority to work independently in the implementation of its mandate. Moreover, officials of the United Nations made clear the Panel’s independence to the Government of Sri Lanka on subsequent occasions. By looking at the track records and current activities of Ms. Yasmin Sooka, we are seriously concerned with her impartiality to work as an expert to advise the Secretary General of the United Nation. The track records shows that Ms. Sooka is a strong supporter of the Tamil separatists in Sri Lanka and to the so called Tamil cause propagated by pro-LTTE Tamil diaspora who lavishly fund such campaigners. 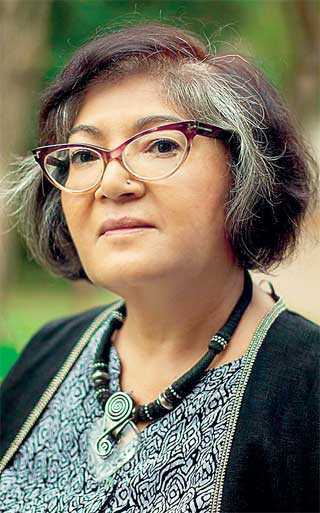 Ms. Sooka is a violent campaigner against Sri Lanka and she runs an organisation called The International Truth and Justice Project – Sri Lanka (ITJP). The home page of the official website of the ITJP stated that: “The International Truth and Justice Project – Sri Lanka (ITJP) is administered by the Foundation for Human Rights in South Africa under the guidance of transitional justice expert Yasmin Sooka. ITJP both collects and stores evidence for any future credible justice process but also intervenes where we can to assist victim communities in Sri Lanka in seeking accountability” (http://www.itjpsl.com). When we closely examined the content of the website run by ITJP, it revealed that almost all the work that had been done by ITJP under the guidance of Yasmin Sooka was only sourced from the Sri Lankan Tamil community. Further, it shows that all intervenes by ITJPk where they think that they could assist the victim, had been generally limited to the Tamil community in Sri Lanka. 1. http://www.itjpsl.com/reports/unsilenced – Conflict-related sexual violence against men in Sri Lanka. This report has recorded the testimony from a group of unknown Tamils that they had been sexually harassed by the Sri Lankan army while they were in the custody. Assuming that these alleged allegations are true, ITJP had not taken similar efforts to records such sexual harassment cases faced by ethnic majority Sinhalese except for a few minor cases. 2. http://www.itjpsl.com/reports/peacekeeping – Reports against Sri Lankan Army. This report has been compiled by targeting Sri Lankan security forces to tarnish their images purportedly. Yasmin Sooka was appointed as an expert by the General Secretary to advise on any allegations levelled against the Sri Lankan Army independently. However, the way she behaved and acted with her works against Sri Lankan security forces did not show her impartiality but her partiality to Tamils and pro-LTTE Tamil diaspora. 3. http://www.itjpsl.com/reports/disappear-site – Listing of scores of Tamil names stating they disappeared during the war. Most of the names on the list have been identified as LTTE terrorist members among a few children and some civilians. However, ITJP led by Yasmin Sooka deliberately ignored or failed to carry out similar investigations and compile a report of missing soldiers, soldiers captured in live by LTTE Tamil terrorists then tortured and killed, and missing Sinhala and Muslim civilians. 4. http://www.itjpsl.com/reports/special-task-force – This report is on the Special Task Force (STF) and recommended not deploying 53 STF officers for the UN Peacekeeping services due to their alleged human rights violation activities. Yasmin Sooka was appointed as an expert by General Secretary to advise on any allegations levelled against Sri Lankan security forces independently. Yasmin Sooka does not seem to be an independent expert to the parties in the investigation i.e. Sri Lankan security forces and LTTE Tamil terrorists. None of her work published in the ITJP website had reported or attempted to investigate the war crimes and crimes against humanity carried out by the LTTE Tamil terrorists and Tamil politicians in the Northern and Eastern Provinces of Sri Lanka. 5. http://www.itjpsl.com/reports/unstopped – This report is about 24 cases of alleged abduction, torture and/or sexual violence by the Sri Lankan security forces that occurred in 2016/17. None of her works published in the ITJP website had reported or attempted to investigate the abduction, torture and killing of Sinhala, Tamil and Muslim civilians by the LTTE Tamil terrorists. Further, human rights champion Ms. Sooka conveniently ignored to report the torture and killing of captured Sri Lankan security forces members by the LTTE Tamil terrorists and its political allies TNA. 6. http://www.itjpsl.com/reports/the-case-against-jagath-jayasuriya – Filed a war crimes case in Brazil and Colombia against Sri Lanka’s Ambassador in Latin America, Jagath Jayasuriya, for his role in the final phase of the war with Tamil terrorists in 2009. 7. http://www.itjpsl.com/reports/jagath-dias-dossier – A report on Major General Jagath Dias, formerly 57 Division Commander of the Sri Lankan Army during the final phase of the war against LTTE terrorists. Yasmin Sooka takes great efforts to frame the so-called war criminals in Sri Lankan security forces and named 53 members of Sri Lankan security forces and proposed to not to use their services in the UN peace keeping forces elsewhere. nAdele Balasingham – who trained and used Tamil girls as child soldiers and suicide carders to kill innocent civilians, political leaders and members of Sri Lankan security forces. Now living in United Kingdom in low profile. Darmalingam – LTTE terrorists’ money collector by force from Tamil civilians in France. Daya Mohan – Former LTTE Tamil terrorist leader for Trincomalee District and responsible for several massacres of Sinhala and Muslim civilians by attacking those villages. Currently, living in Zurich- Switzerland. Anbawan – Former LTTE Tamil terrorist leader for Mannar District and responsible for several massacres of Sinhala and Muslim civilians by attacking those villages. Currently living in Zurich- Switzerland. Sugandiran – Former captain of a LTTE Tamil terrorist ship and responsible for drug trafficking, human trafficking, and international arms smuggling. Currently living in Canada. Reggie – Former Head of LTTE front organisation called Tamil Rehabilitation Organization. Currently, living in London. Peripanayagam – Head of LTTE front organisations and living in Norway. Mariyadas alias Bosco – Head and Chief Coordinator of pro-LTTE Tamil diaspora and fund collector. Currently living in France. Further, on 19 September 2018 in UNHRC premises in Geneva (in a room at the Palais de Nations) under the title of ‘Documenting Male Sexual Violence,’ Ms. Sooka moderated a side event and presented a bogus document against Sri Lanka with the title ‘Male Sexual Violence in Sri Lanka by Sri Lankan Security Forces’. Although the theme of the side event was described as “this broad discussion on best practice in documenting cases of male sexual violence in conflict and post-conflict setting, drawing experiences in Sri Lanka, South Sudan, the former Yugoslavia and North Uganda,” the attached flyer was issued by the pro-LTTE NGO registered in India called Pasumi Thaayagam. Ms. Sooka as the moderator of the event the prominently was biased towards anti-Sri Lankan sentiments and promoting the Tamil cause. Further, at the event, Ms. Sooka attacked the Sri Lankan legal system, stating there were no provisions in the Sri Lankan Judiciary to address and prosecute people responsible for male sexual violence. The foregoing justifies well beyond any reasonable doubt that a member of the Panel of Experts (PoE) Ms. Yasmin Sooka appointed by the UN Secretary General on 22 June 2010 to advise him on the issue of accountability with regard to alleged violations of international humanitarian and human rights law during the final stages of the war between one party the LTTE Tamil terrorists and the Sri Lankan Government forces is biased and has gross conflict of interests between the two parties are being investigated. 2. Commence an immediate official inquiry on the dealings of Ms. Yasmin Sooka with Tamils, Tamil NGOs, LTTE Tamil terrorists and similar institutions which violate the credibility of the PoE. 3. If Ms. Sooka is found in guilty in such partial and biased activities highlighted above during the pre and post POE services, (i). Disregard the report prepared by the PoE, (ii). Remove her from all services and dealings with UN-related works.